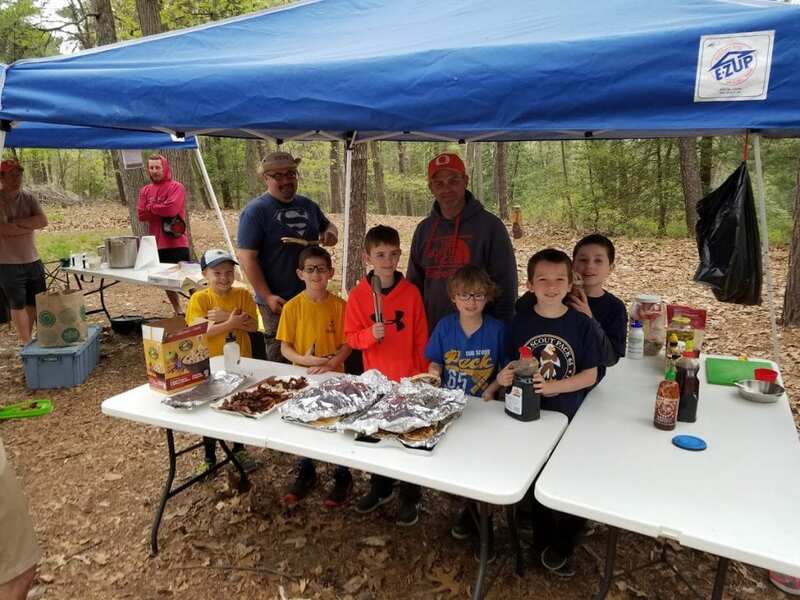 Cub Scout Family Camping is the epitome of “Front Country Camping” meaning that campsites are not true “hike-in” locations, and will also afford certain amenities (restrooms, potable water, etc.). If you’ve not camped before, or are not fond of “roughing it,” fear NOT! We have fun and make it as pleasant as possible. The RSVP serves to let us plan for food headcount. The dens will be shopping for, and preparing the meals, in accordance with the duty roster. Special dietary needs will not be able to be met with the size of our group and the accommodations of the pack kitchen, so if you have special food considerations, we ask that you bring your own food – it can be stored at the pack kitchen. Typically, a designated amount per person will be collected to go towards food costs and camping expenses. Pack Kitchen will be centrally located. 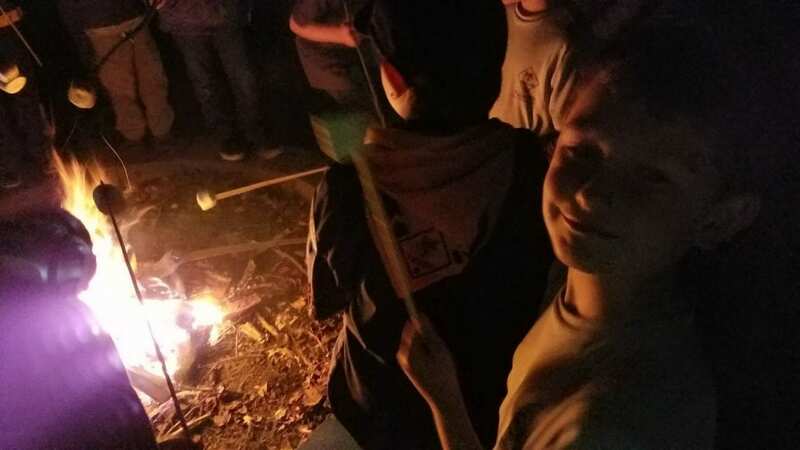 We encourage older scouts to tent together. Please have your scouts assist in carriage, setting up, and striking camp as much as possible – this is their opportunity to learn and help. The Pack has a comprehensive camp kitchen, contained in its trailer, so it is not necessary to bring any stoves or cooking implements. We do promote “Leave No Trace” guidelines, and want to leave as little an impact on the environment as possible, so we ask that the families have durable/reusable eating and drinking utensils and plates as opposed to disposable ones, as well as a hang bag for the items to air dry. Due to the nature of the campout and outdoor cooking for large numbers, we cannot accommodate special dietary requests, so if there are food preferences or allergies, please bring substitutes as needed. Food MAY NOT BE STORED in the sleeping/tenting areas. All food must be secured in the pack kitchen area or in the trailer. Meal assignments are per the duty roster circulated at the time of the campout RSVP (meal responsibility is under “cook” column). The den will plan, purchase, and bring the food, leaders will turn in receipts for reimbursement. The scouts in the den are expected to help prepare and serve the food as much as their abilities and safety permit. Please use bug spray and treatments at your discretion – do not spray your tent with bug spray, however – it destroys the waterproofing. Make sure to thoroughly check yourself every day and wash your clothes as soon as you get home. Each den will have a responsibility for cooking and clean-up, assignments will be according to the rotation established in the duty roster. A Scout is Helpful – folks may be asked to pitch in if a unit is short-handed for the task or special circumstances. Be cheerful and pitch in! Bring alcohol or tobacco products (they are forbidden at ALL BSA activities).